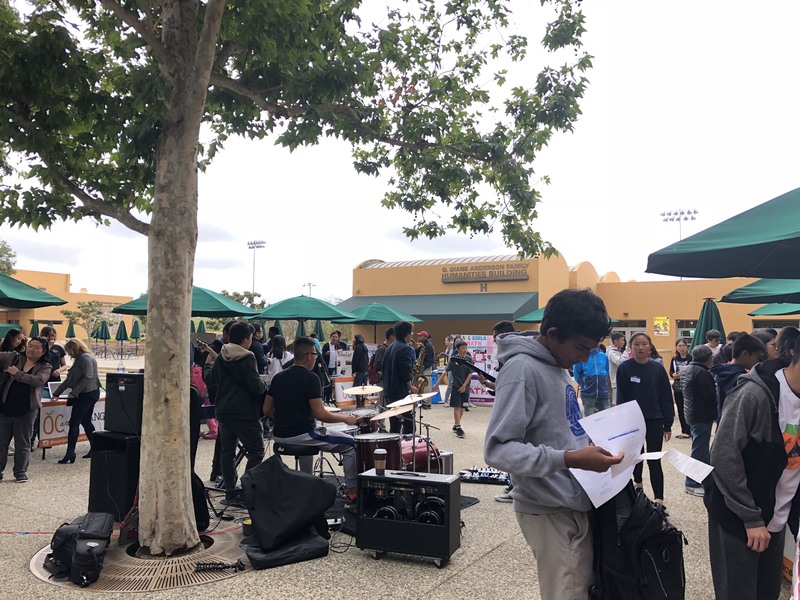 With the smell of fresh popcorn in the air and music radiating from a jazz band, Orange County (OC) students and parents attended the annual Math for Service (MFS) Open House on May 20 at Sage Hill School from 2 - 4 p.m. The nine different student-run ventures under MFS-- OC Math Circle, OC Scholar, OC Coder, OC Science, OC Arts, OC Engineer, OC Hacker, OC Launch and All Girls Math Tournament-- set up booths for activities and prospective volunteer sign-ups. The open house included an indoor presentation of each organization, led by the Presidents, a College Panel, a ceremony for the President’s Volunteer Service Award (PVSA) recipients and a Senior Sendoff. Dr. James Li also announced the new name for Math for Service: STEAM for All. A total of 48 students received the PVSA that ranges from bronze to gold: 17 bronze, nine silver and 22 gold. Friends of MFS, a group of parents of student volunteers, helped with refreshment duties as well as the book drive. To learn more about Math for Service events and volunteering opportunities, visit mathforservice.org. Each contestant must include his or her full name, school, grade, and age at the top of the writing piece. 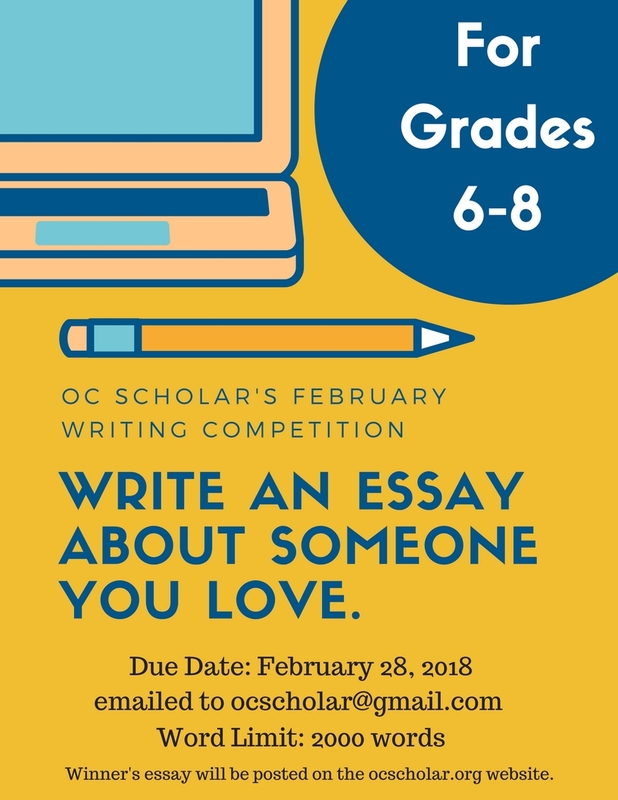 The winner in each grade group will have their work published on ocscholar.org. 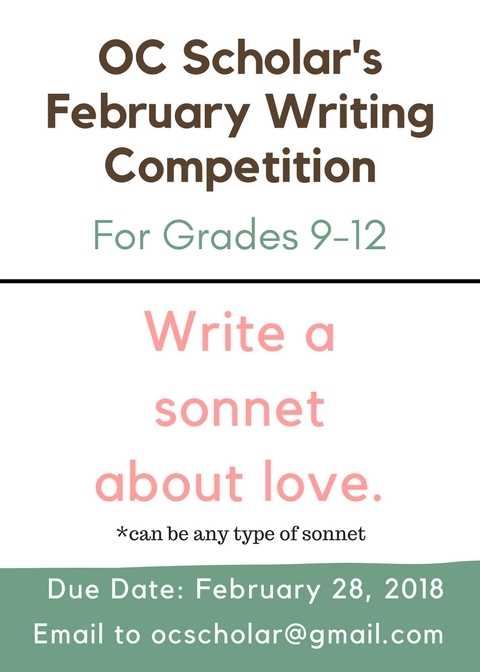 For the February competition, all submissions are due by February 28 at 11:59 PM. Good luck! 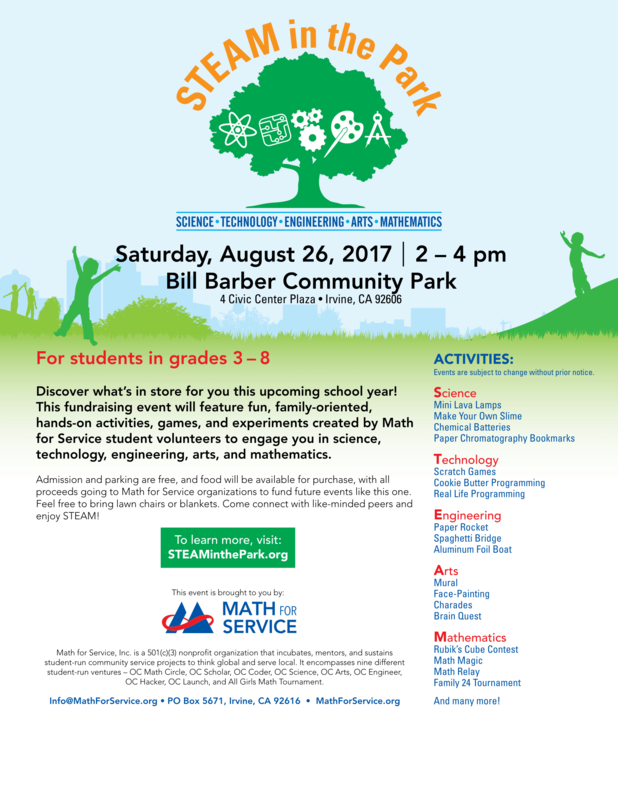 Join OC Scholar and other Math for Service organizations at the 2017 STEAM in the Park event at Bill Barber Park! Math for Service volunteers basked in the sun, enjoying the cool breeze at the annual MFS bonfire at Corona del Mar State Beach on Sunday, June 10.